Marestail is arguably one of the most difficult weeds to control in Ohio. If you’ve never had a marestail on your farm, be grateful. If you have marestail on your farm I’m guessing you’ll agree with my first sentence. 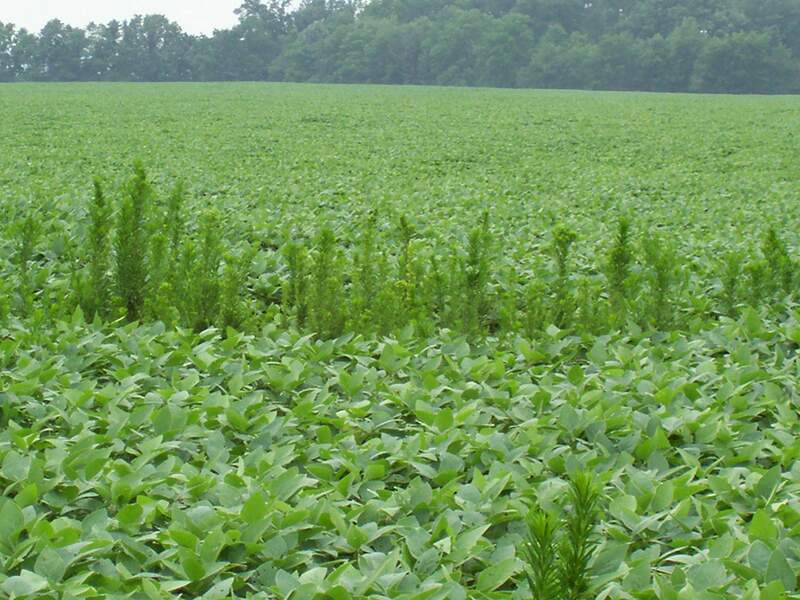 There are a couple of factors that make marestail so difficult to control. First, marestail has two periods of emergence: early spring and late summer/fall. Second, the majority of marestail in Ohio are resistant to glyphosate or ALS herbicides (FirstRate, Classic, etc). As marestail exceed 10 inches and 2,4-D is no longer an option, the best option is probably a high rate of Ignite (32 to 36 oz) in combination with metribuzin. Research at OSU has shown effective control with the combination of Ignite and Sharpen in preliminary studies. However, as many growers learned last year, it might still be better to use 2,4-D ester and wait another week to plant soybeans, even as we move into late May. April applications of a combination of burndown and residual herbicides have shown good success for controlling marestail, so we suggest applying anytime from now on that the field is fit for traffic. Marestail is most easily controlled when small, and especially before it exceeds about 4 inches in height. The possible disadvantage of applying residual herbicide this early is a loss of residual control too soon in growing soybeans, especially when weather turns wet and soybean planting is delayed. Increasing residual herbicide rates in early April applications may compensate for this somewhat, especially for the shorter residual products – Valor, Authority/Spartan, and metribuzin. The rate of Authority in the 3 oz/A rate of Sonic and Authority First is less than optimum with regard to residual control of marestail, and we suggest increasing the rates of these herbicides when applied in early to mid-April, or supplementing with additional sulfentrazone. The above article was condensed from an article written by Dr. Mark Loux for the April 6, 2010 CORN Newsletter, corn.osu.edu.